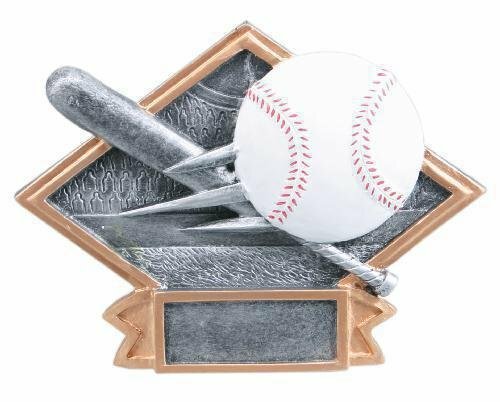 This Billboard Baseball Trophy is mounted on a star base. 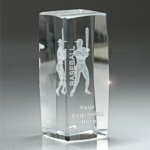 The baseball award comes with a brushed gold laser engraved plate. 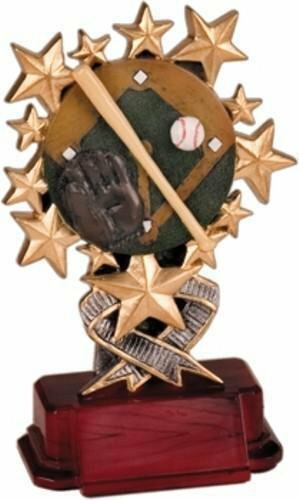 This Stars baseball Trophy has a very upbeat design. The baseball award comes with a brushed gold laser engraved plate. 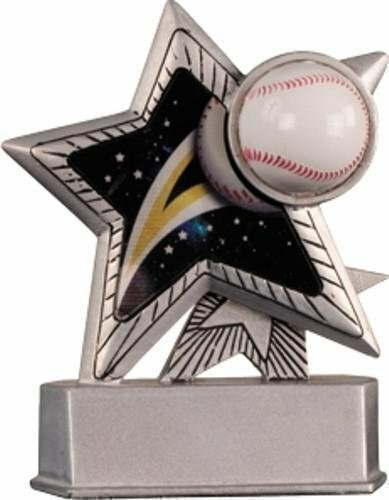 Baseball Shooting Star Resin. 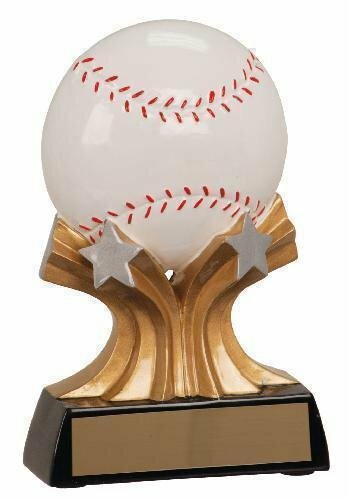 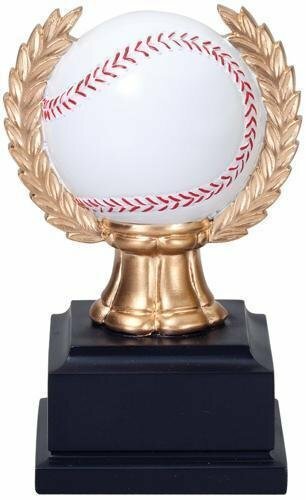 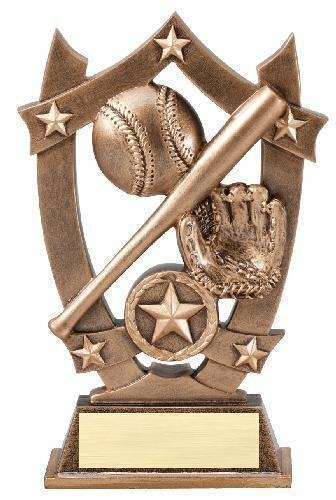 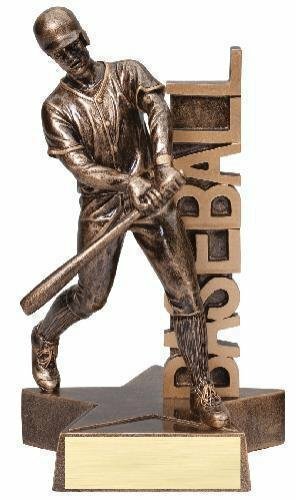 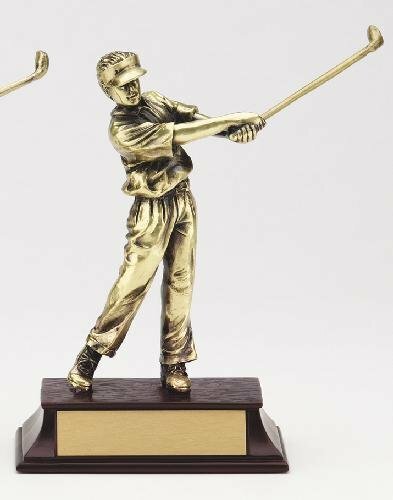 A fun and lively resin trophy with a baseball resting on shooting stars.